Fiat plans to invest 150 million euros over 3 years in Bertone's former carmaking business. Fiat S.p.A will finalize the acquisition of Carrozzeria Bertone on Wednesday, Fiat CEO Sergio Marchionne said at an industry seminar in Rome today. 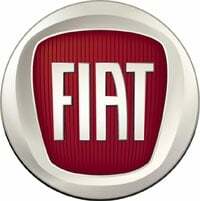 Fiat's bid for the struggling Turin coachbuilder was approved by the Italian Industry Ministry in August. Fiat plans to invest 150 million euros ($215.9 million) over three years in the contract manufacturer that has produced models ranging from the Lamborghini Miura to the Volkswagen Polo during its 96 years in business. Fiat-Chrysler CEO Sergio Marchionne has said Chrysler cars will be built at the Bertone plant in Grugliasco, near Turin, but he did not specify which models. Industry sources have said the factory could resume production in late 2011. The first model built there most likely will be the replacement for the European version of the Chrysler 300C. European production of the 300C is done in Graz, Austria, by Magna Steyr, the contract manufacturing arm of Magna International Inc. Eventually, the plant also may make Jeep models for Europe from complete knockdown kits shipped from the United States, the sources said. Bertone stopped volume production in December 2005. The Bertone family lost control of the coachbuilding business when bankruptcy administrators took control in February 2008. The Bertone design business, which remains in the hands of the Bertone family, was not affected by the collapse of the contract manufacturing unit.